Wow, the Kickstarter launch date of January 18th is approaching so fast! 0m09s: I show the output of training AlexNet from scratch on the massive ImageNet dataset — which I’ll be showing you exactly how to do inside my book. 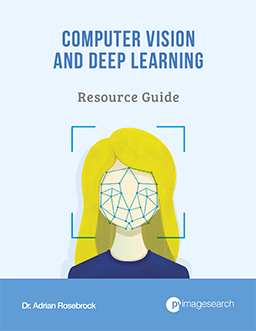 0m37s: I discuss how this book has one goal: to help developers, researchers, and students just like yourself become experts in deep learning computer vision. 0m44s: Whether this is the first time you’ve worked with deep learning and neural networks or you’re already a seasoned deep learning practitioner, this book is engineered from the ground up to help you reach expert status. 0m58s: I provide a high level overview of the topics that will be covered inside my deep learning for computer vision book. 1m11s: I reveal the programming language (Python) and the libraries we’ll be using (Keras and mxnet) to build deep learning networks. 1m24s: Since we’ll be covering a massive amount of topics, I’ll be breaking the book down into volumes called “bundles”. You’ll be able to choose a bundle based on how in-depth you want to study deep learning, along with your particular budget. 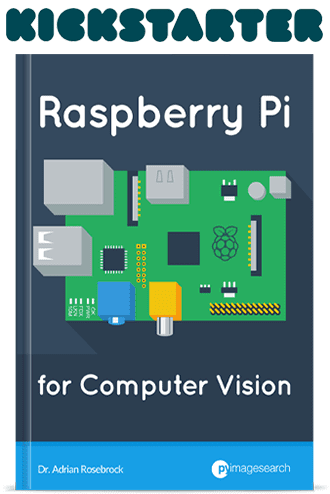 1m38s: Each bundle will include the eBook files, video tutorials and walkthroughs, source code listings, access to the companion website, and a downloadable pre-configured Ubuntu VM. The Kickstarter campaign will be going live on Wednesday, January 18th at 10AM EST — I hope to see you on the Kickstarter backer list. Like I said, if you have the time, the sneak preview is definitely worth the watch. 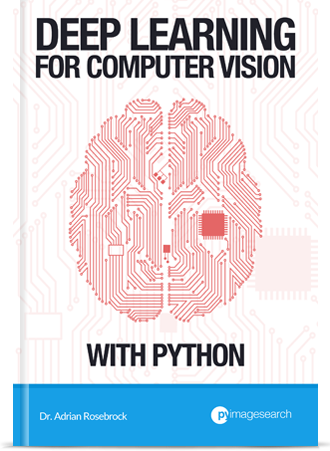 And I hope that you support the Deep Learning for Computer Vision with Python Kickstarter campaign on Wednesday, January 18th at 10AM EST — if you’re serious about becoming a deep learning expert, then this book will be the perfect fit for you! To be notified when more Kickstarter announcements go live, be sure to signup for the Kickstarter notification list! So when will your 3 volumes be ready? Hey Walid — please see my reply to “Jose” below. The Kickstarter will be used to fund the creation of the book. I fully expect to have it finalized, online, and available by autumn/winter 2017. I have some questions, when do you expect to release the project? The price of the bundles (in a range, not exact)? And how would relate this with gurus? I’ll be launching the Kickstarter campaign next week to fund the project. The funds will be used to create the book. I fully expect to have the book online and available by autumn/winter 2017. As for the prices of the bundles I’ll have them online on Monday, January 16th so you can determine which bundle is most appropriate for you based on (1) how in-depth you want to study deep learning and (2) your particular budget. I’ll also certainly be updating the Gurus course to include content from the new book. Exactly which content goes into the course remains to be seen — I need to finish writing the book first. is there any way to get this without waiting for kickstarter to finish the campaign? Hey Ed — thanks for the comment. Can you please clarify your question? 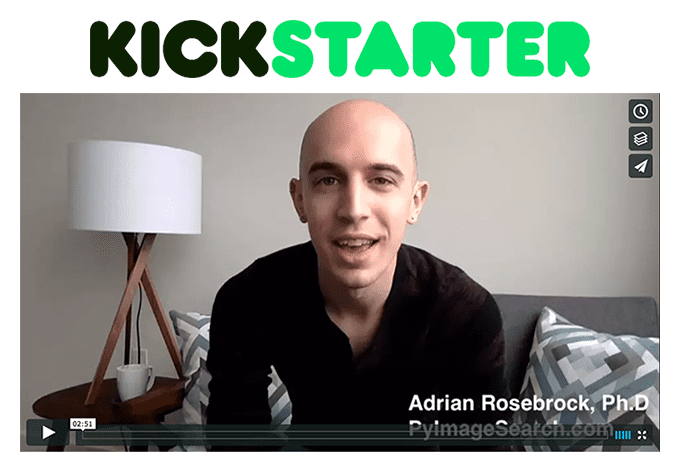 Are you asking if you can receive the new Deep Learning before the Kickstarter? If so, please keep in mind that I’m using the Kickstarter campaign to fund the creation of the rest of the book. The book will available for download and distribution by autumn/winter 2017. I have a fun project in mind and have zero experience. I bought a high powered camera and have a few funko pop action figures. The goal would be to use computer vision to scan the action figures and tell me awesome information, like who the character is and maybe the serial #? This is my fun project, which one of your courses/books would you recommend? Deep Learning Computer Vision and Python? 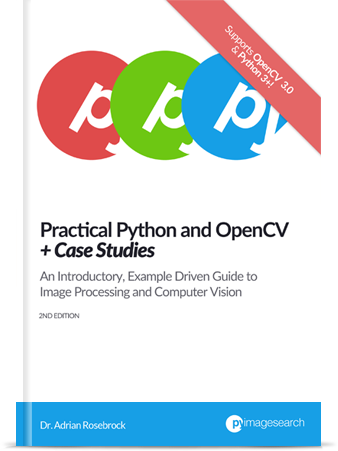 The first book will teach you the fundamentals of computer vision and image processing in an easy to follow way. 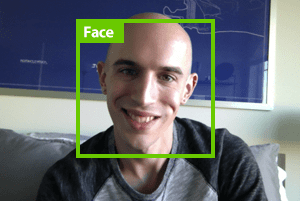 It will also enable you to build a simple prototype of your action figure recognition system. The second book will then help you build a much more advanced and accurate system.